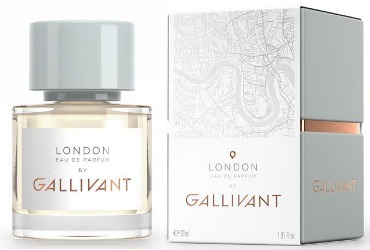 I recently had the chance to experience the new Gallivant fragrance line, and after admiring its packaging and display (city maps! 30 ml bottles! tiny paper airplanes instead of blotters! ), I had to decide which of the four fragrances to try on my skin. Where to "gallivant" first? I chose the two cities that have personal meaning for me: London (which I've visited twice) and Brooklyn (where I work). London was developed by perfumer Karine Chevallier and its notes include cucumber, violet leaves, rose, orris root, leather, sandalwood, patchouli and cedar. The Gallivant website outlines it in a sequence of sensory imagery: "East end boys and west end girls. Second-hand leather jackets. . . .Roses from Columbia Road. Georgian architecture. A hint of dustiness. An earthy lush wetness you can almost taste." Well, I'd have to try London just for that Pet Shop Boys reference, if for nothing else. On paper, it was mostly a fresh blend of violet and cucumber with a hint of watery rose, and I thought it would be my favorite of the quartet. On skin, it takes a very different turn, just like a pop song with a surprise "hook." The transparent green and flowery notes never quite dissipate, but the dominant theme is the leather. It's not smoky or dirty, so it's not really a "second-hand" leather jacket; it's closer to a new leather jacket. Imagine sitting next to a clean-scrubbed person wearing a leather jacket, while sipping Pimm's Cups somewhere near a flower garden, and you'll be close. (That's an experience I somehow missed on my visits to London; damn.) If you like the idea of a "floral leather fragrance" but you crave something a bit more leather-y and casual than Hermès Kelly Calèche or Bottega Veneta Eau de Parfum, you may want to try London. London and Brooklyn are both unisex, and both have very good staying power on my skin. Brooklyn is more "me," but I'd recommend both to anyone who's feeling olfactory wanderlust this spring. 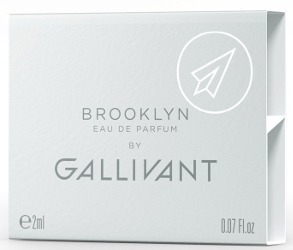 Gallivant London and Brooklyn (and Istanbul and Tel Aviv) are available at Luckyscent or Twisted Lily, $95 each for 30 ml Eau de Parfum. Thanks for the reviews. If you get a chance to try Istanbul it was my favorite of the four. London did not quite work for me but I ended up liking both Tel Aviv and Brooklyn. I like that the company offers a four pack sampler to try them all and find the right one!! ???? I’ll be trying Istanbul and Tel Aviv soon! We’ve been having lots of in-between spring weather here — breezy, then drizzly, then sunny, all in the space of one morning — and both of these fragrances have been working really well for this transitional season! Thanks Jessica, I’ve just ordered the discovery set. Oh good! I hope you’ll love at least one or two of them! They’re not easily defined/categorized — it’s not the usual route of one white floral, one all-citrus blend, one vanilla thing, blah blah. These look really well made. Thank you for the reviews, Jessica. And YES to The Pet Shp Boys! I still have their first three vinyls (the two white ones and the color bars) and how cool was it when they recorded a song for Jean Charles?? I was obsessed with the Pet Shop Boys when they first came out…so dance-y, so droll! I need to give some of their stuff a re-listen! Thank you for the reviews Jessica! I’ve been waiting for someone to review at least a few of these . I just might order the sample pack .